Over the past year, the mobile app market witnessed just over 27 billion downloads, which is a year-over-year growth of almost 11 percent. This industry growth trend proves that even after a decade, mobile apps are in demand more than ever. In 2019, businesses need to put additional focus on mobility and maintain their pace of mobile app innovation to meet evolving customer demands. In this article, several industry experts weigh in on which mobile technology trends will enhance the industry in the coming year. Hybrid app development contends with issues stemming from both native systems and hybrid systems, which makes finding and fixing bugs more difficult. Another disadvantage is hybrid apps often sacrifice the user experience because the products can’t be customized for specific platforms. On the other hand, native mobile apps are developed and optimized for a specific platform and compiled using that platform’s core programming language and application performance interface (API). As a result, native apps are fast, responsive and demonstrate exceptional performance among many other benefits. Many businesses focus on developing an outstanding app, that functions well, and solves a real user pain point, but its marketing campaign is left as an afterthought. It’s easy to assume that user acquisition is the central metric for mobile app success, but actual value lies in engaging and retaining users. Personalization has been a mobile experience mainstay for the past decade or so, increasing in its level of depth and one-to-one precision when it comes to understanding and mirroring app users. As a baseline for interaction, it’s here to stay. According to Plot Projects, building user profiles and surfacing content just based on online or in-app behavior is no longer enough to engage users and keep them around. In fact, this year, the open-rate of messages which are sent based on where someone is (and what they’re doing) generated twice the engagement of personalized messages. In 2015, Google coined a movement called ‘micro-moments’ and right-time marketing, opening up a discussion about harnessing real-world consumer intent, with mobile as a natural gateway. More and more, businesses need to harness the value of choosing the right context to interact with users, sending place-based coupon redemptions and dynamic offers to increase engagement, reduce UX friction and jump sales uplift. It doesn’t stop there. Businesses need to consider creating audiences of train commuters, store shoppers, local brand loyalists, and frequent travelers — qualifying their relevance for campaigns, offers or membership through their daily habits and life choices — across any channel or technology. 2019 is the right time to take steps into this new way of working and connecting. The OTT (over-the-top) market is showing huge consumer uptake via providers like Crave, Netflix, Hulu, Amazon Prime and more. By 2019, global OTT streaming subscribers are anticipated to reach over 300 million. The mobile app development market is ready for OTT. The infrastructure is already in place; there is greater availability of public WiFi; tablets, connected TVs, and streaming media players are becoming more popular among consumers; and device interoperability is improving. As well, major broadcasters are introducing OTT options into their content lineup. The potential for reaching broader audiences and tapping new sources of revenue is massive, and companies that can evolve with the market will come out on top of the competition. There’s been big talk for augmented reality (AR) in the past several years, and users can expect to see more from AR technology in 2019. AR libraries (Apple’s ARKit and Google’s ARCore) will continue to grow and mature, even though the adoption rate in user-facing apps is not increasing. Apple, specifically, has been making the push to be recognized as the most powerful AR platform. Apple’s goal for AR is to extend the benefits of the technology across its entire iOS system. Apple’s broader vision for the technology is evident in their partnerships with Pixar and Adobe. As ARKit continues to improve, users can anticipate improved face-tracking, rendering, 3D object detection, and stunning experiences overall in the next few years. Ten years ago, the mobile application came into existence, since then it has evolved into a mainstream necessity for everyday life. The 2019 trend is clear: users want access to hyper-personalized, real-time, contextual content seamlessly connected across each of their devices. On top of that, users are looking for new and creative ways to create and share experiences with their mobile devices. Mobile apps will still be in high demand in the new year, and the best way for businesses to deliver value to customers is to focus on the appropriate marketing tactics to deliver real user value. 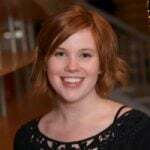 Anne is a Content Marketing Specialist at Clearbridge Mobile – a mobile app development company offering user-centric product design and engineering services. She writes about all things mobile and how apps are fueling the next wave of digital disruption.